Sony has announced MLB The Show 19, the annual baseball sports video game, is coming next year. 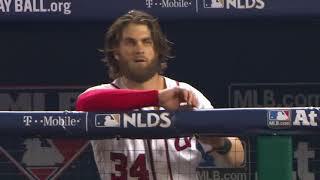 Bryce Harper, Six-time MLB All-Star, 2012 NL Rookie of the Year, 2015 NL MVP - has been chosen as the cover athlete of the game. Fans who pre-order will receive 10 Standard Packs and 1 Gold Player Choice Pack, plus retailer-specific extras. There will be three special editions. 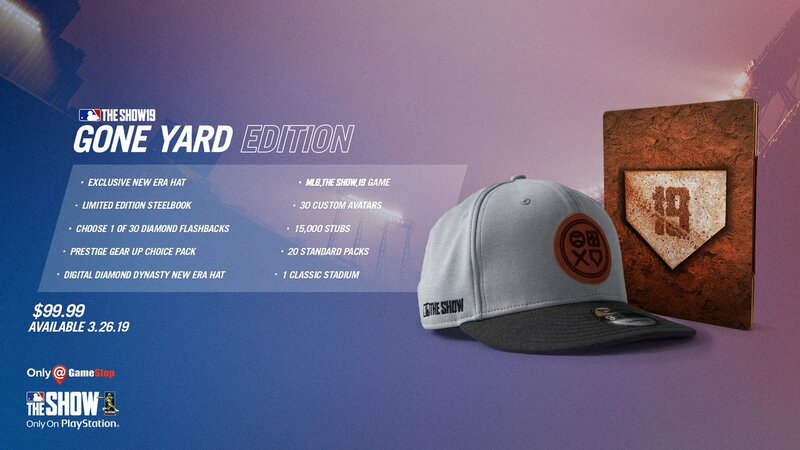 The Gone Yard Edition (GameStop/EB Games Exclusive, $99.99 USD / $129.99 CAD) includes a New Era Gone Yard Edition 9FIFTY Hat (and its digital version), Limited Edition Steel Book, 1 Prestige Gear Up Choice Pack, choose 1 of 30 Diamond Flashbacks, 15,000 Stub, 20 Standard Packs, 1 Classic Stadium, and 30 Custom Avatars. 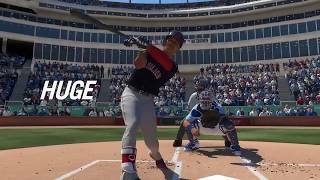 MLB The Show 19 MVP Edition ($69.99 USD / 89.99 CAD) edition has the Prestige Player Gear Up Choice Pack, Choose 1 of 30 Diamond Flashbacks, 6,000 Stubs, 1 Classic Stadium, 10 Standard Packs, and 30 Custom Avatars. Lastly, Digital Deluxe Edition ($99.99 USD / $129.99 CAD) offers 1 Prestige Gear Up Choice Pack, Choose 1 of 30 Diamond Flashbacks, 15,000 Stubs, 1 Ballin is a Habit Pack, 1 Classic Stadium, 30 Standard Packs, and 30 Custom Avatars. 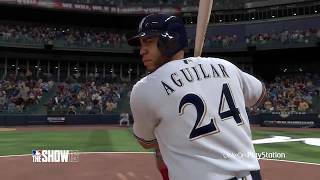 MLB The Show 19 launches on March 26, 2019.